Please, send us your prayer intentions, which our children will take to the grotto to: lourdes@hcptpolska.pl. We are waiting until Holy Saturday. The plane will take off on Easter morning. 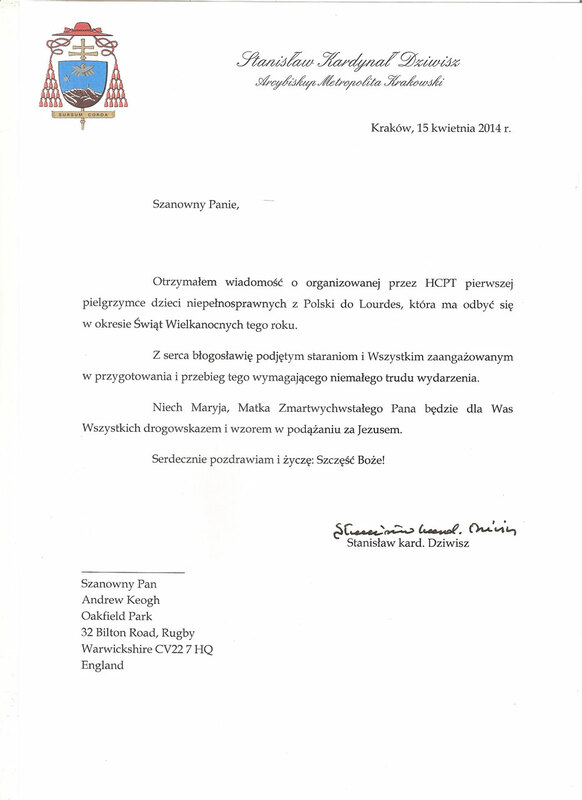 Fundacja na Rzecz Dzieci z Chorobą Nowotworową "Wyspy Szczęśliwe"
…HCPT-Poland is part of the international community was founded 60 years ago by the British Foundation HCPT (Hosanna House & Children’s Pilgrimage Trust). 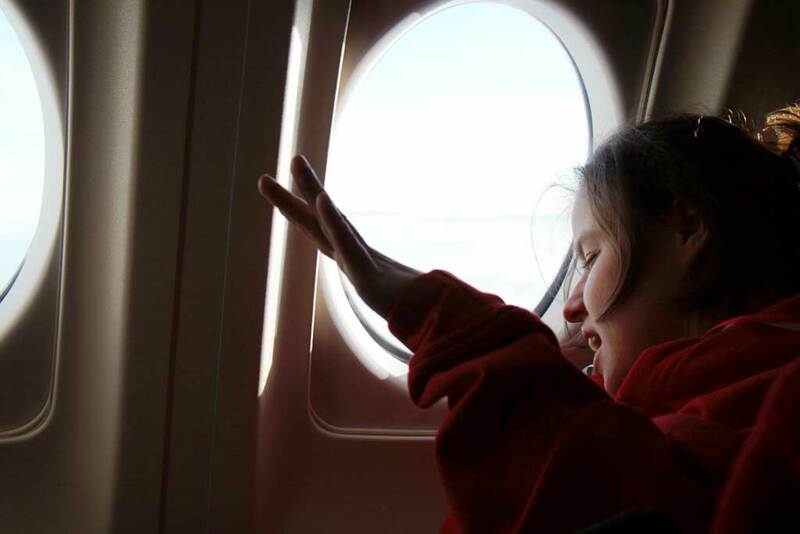 In the “journey of life” the Charity takes more than 1,000 disabled children and adults from all over the world to Lourdes to celebrate the Resurrection of Our Lord Jesus. 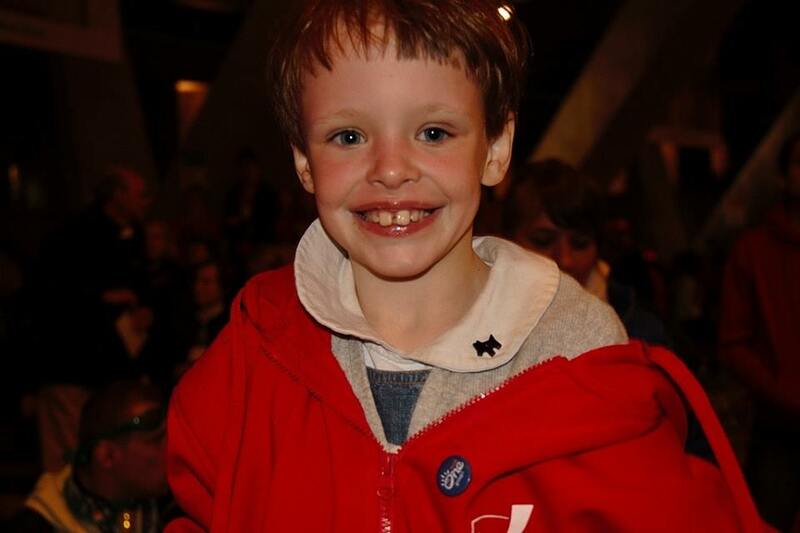 Thanks to your support we can arrange a week’s stay for disabled children, often from broken families, in Lourdes. Thanks to you, these children can experience an unforgettable holiday in a family atmosphere! …one of the largest and most important shrines in the world, is the location of the Grotto of Massabielle, where Bernadette Soubirous met with a beautiful Lady and discovered the source of water which is a pure sign of God’s Love. For our children, Lourdes offers a peaceful environment in which to meet new friends from other countries and share their stories. 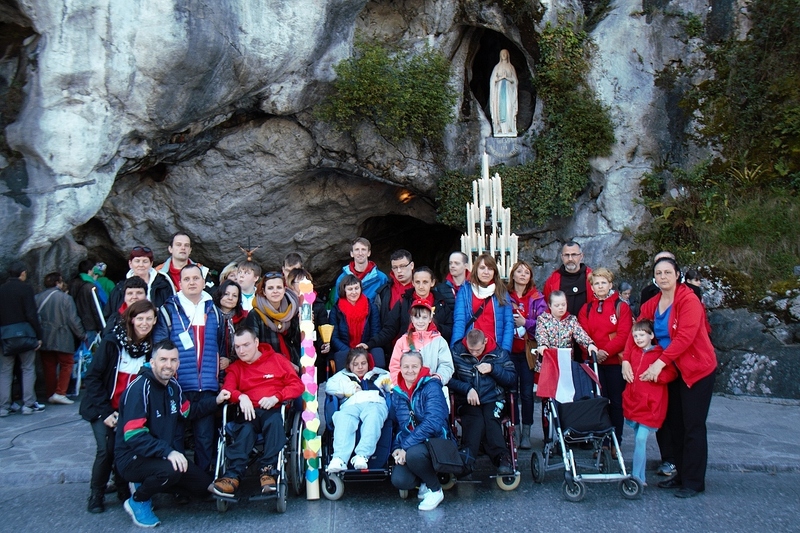 For over three years, HCPT-Poland has partnered with one of Krakow City’s specialised Nursing Homes (Łanowa), to organise an annual week long pilgrimage to Lourdes at Easter time. For many children, a trip to France is the biggest adventure holidays and the only opportunity to change lives. Until now, their world has been limited to a care home, hospital, church and school. 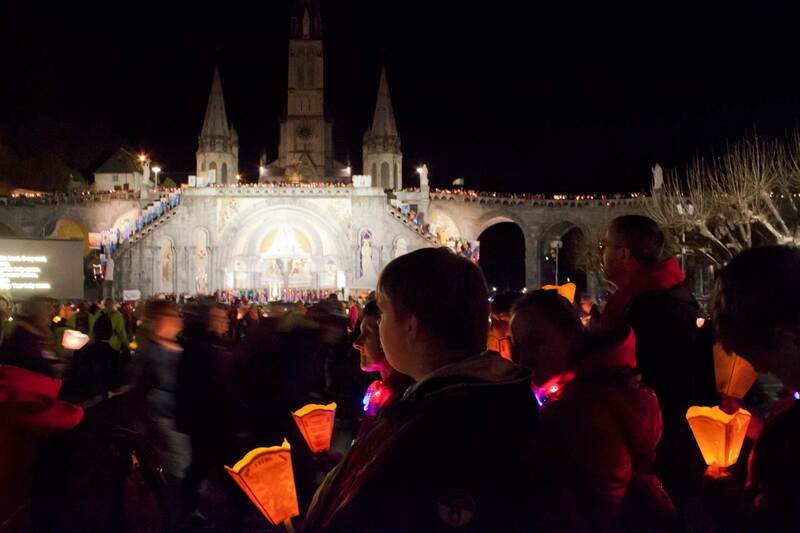 During the week spent in Lourdes, each of them have a thousand reasons to rejoice. One Pilgrim was glad that for the first time he was able to fly; another Pilgrim, bought the statue of Our Lady; a third Pilgrim, saw the Pyrenees and spent a holiday outside the Nursing Home for the first time. For many, the most poignant time was bathing in the water from the Grotto. They lived intensely every minute of every day, enjoyed a fireworks display, danced on stage, represented Poland and met new friends from the whole world. It was a week that changed their lives. On our adventure to Lourdes this year, we are joined by Young Warriors from the Oncological Department at the Prokocim Children’s Hospital in Krakow City, Children from the “Rainbow association”for the support of Down’s Syndrome and local Nursing Home in Krakow. The plane takes off at Easter Dawn.